I got another surprise in the mail before I left for my 1 week London trip! This time it was shipped fresh from Japan. 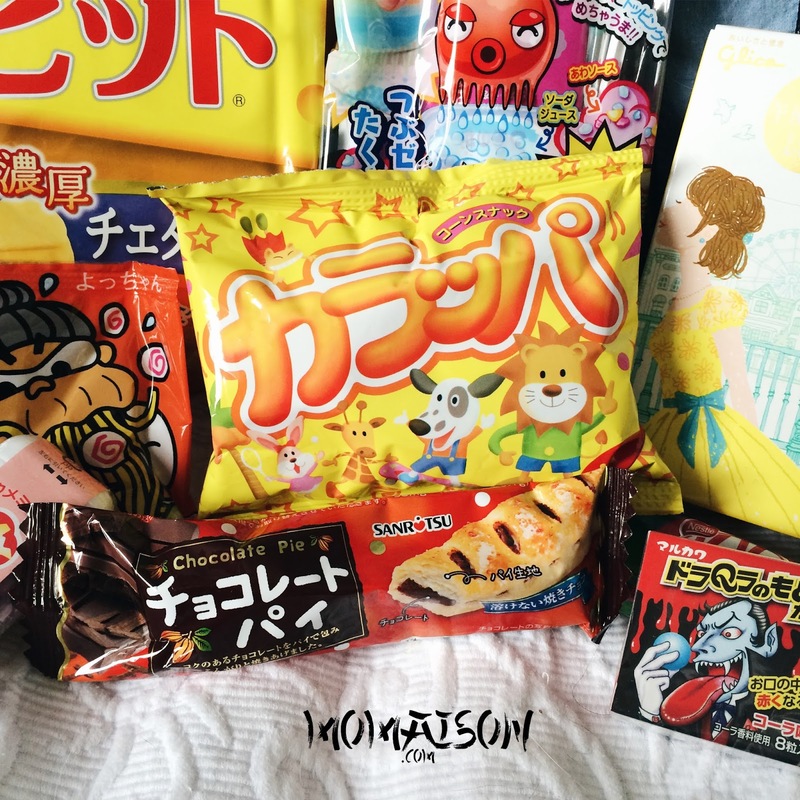 It's the April Original Box from Freedom Japanese Market! 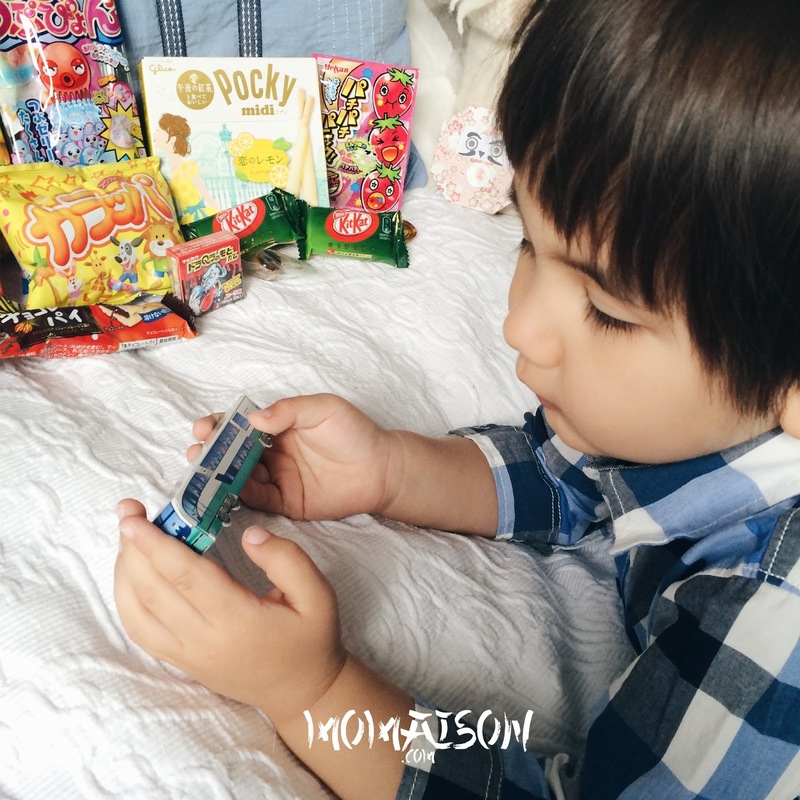 The box is tightly packed with candies and snacks. Most of the items in it are sold exclusively in Japan and most boxes contain some limited edition snacks and candies that are only in Japanese stores for a month or two. It was sent out from Japan on the 16th of April and I received it in my mailbox on the 13th of May. So it took slightly less than a month. Now, don't you want to join me in some unboxing fun??? 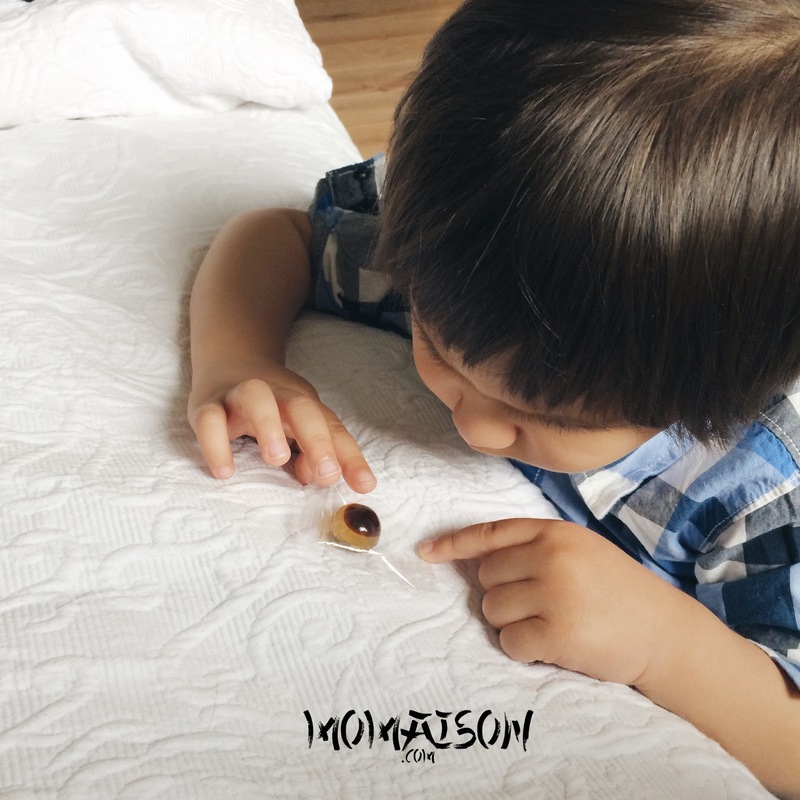 It has always been fun for me discovering new products from all over the world. Especially snacks for a glutton like me hahaha. 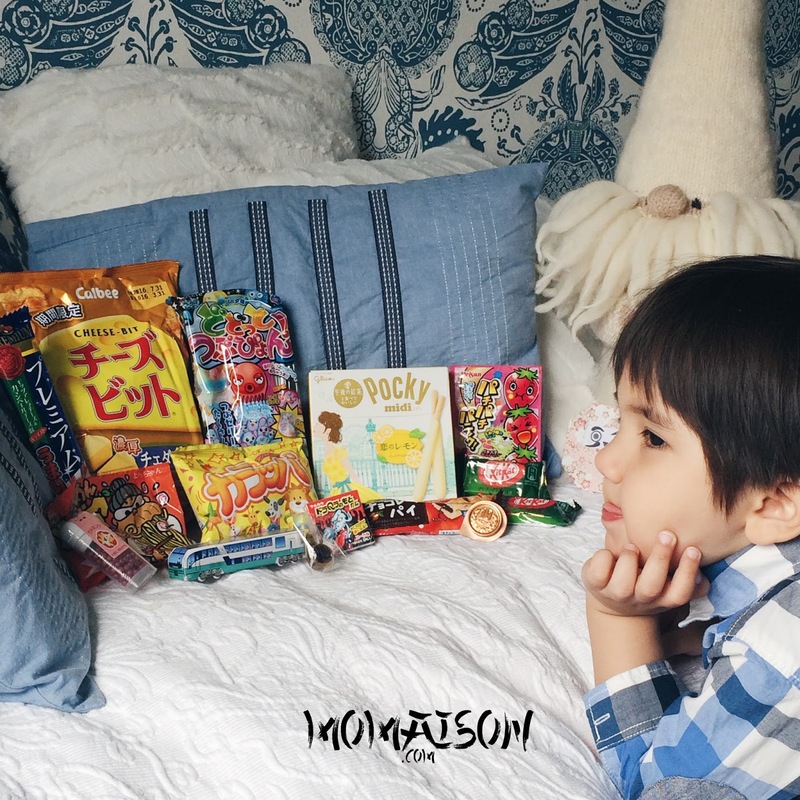 Come on, let's see if you would love to try any of the snacks in Freedom Japanese Market's April box! Freedom Japanese Market is a family business owned by a family of 4 including 2 kids. So adorable! Apparently, they're the official taste testers and in charge of quality control! Every snack box has a meaning that is all explained on a "letter" in it. Each box also contains a handmade, seasonal origami. It is packed to the brim! Making full use of all the space in the box, it's like snack tetris in there. An itemized list with pictures is included in each box, so you don't have to read Japanese. About a pound (450gms, almost half a kg!) of 13 to 16 candy and snacks are packed into each box. 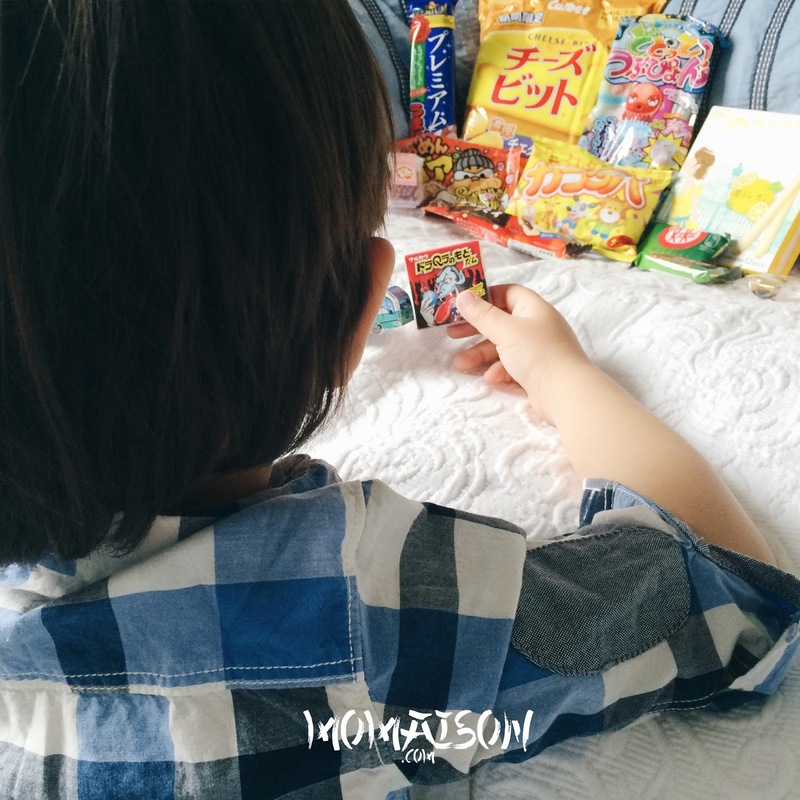 Quote my blog name 'MoMaison' in the order notes when you subscribe and you will receive a FREE bonus candy in your first box! On the itemized list, you can see the Puchi pack will have all the items above the line in the middle, Original the whole list and Family double of everything on the list packed. Super cheesy, just the way both Daniel and I like it. You can actually really taste the cheese and not that subtle cheese taste that other "Cheese" crackers have, It's almost like biting into a chunk of crispy cheddar. I haven't played with this yet but... it's Kracie, AND a DIY candy set. What could go wrong? I'm sure it'd be fun and tasty like all the other Kracies I tried. This should be a delicacy! Like the Cheese-Bit, it tasted really cheesy I'm not even exaggerating. It's a noodle snack, no water required. Tastes like mamee to me. Little balls of sour plum flavoured mints. Hansel enjoyed it the most I think. Popping candies!!! My childhood favourite. Loved leaving my mouth open and listen to the sweets go "pop! pop! pop!" I gave this to Hansel to try and he loved it. I thought he would be scared by the poppings in his mouth. I tried a little and it was good and nostalgic. What can I say...? It just tastes like... chocolate pie! And everything chocolate is goooood. Look at Hansel inspecting the "eye". You can almost see his wonder while at it! It definitely does look and feel like a frog eye! What a good name for it haha! It's actually a gummy candy which I think is cola flavored. They are blue color cola flavored gums that turn your tongue red. Daniel commented that the taste lasted longer than most gums he had and Japanese always know how to make the best stuff. Hands down the chunkiest and tastiest pocky I ever had. Look at how thick the lemon cheesecake part is compared to the usual pocky. I love matcha everything, and that includes Kit-Kats. I was really happy they included this! Like the 'Ume Mints' but milk chocolate. 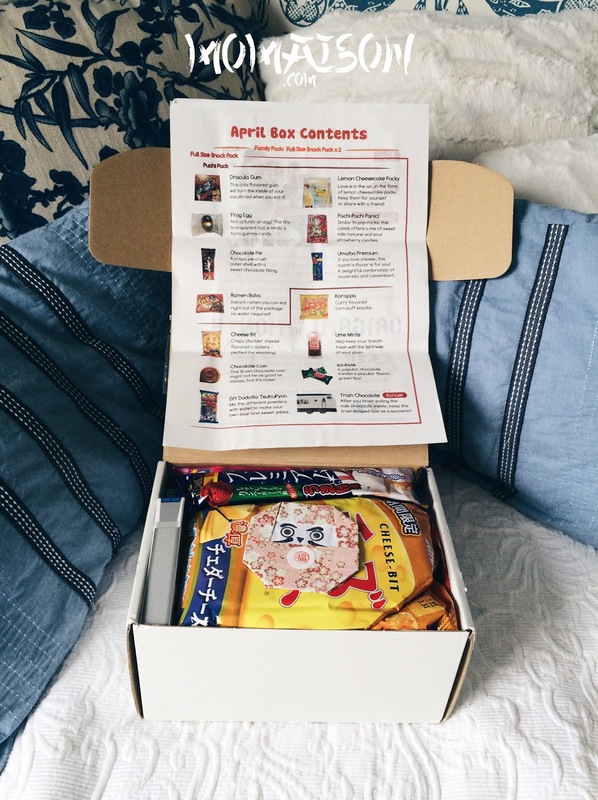 I haven't tried a lot of Japanese snacks sub box but I can say this was really one of a kind. With assurance that they only ship products they would eat and send boxes they would be happy to receive. You can also subscribe through PayPal for maximum security. Seeing so many companies scam people through "package" prices (then close down after collecting all the deposit/full payment), this is a really safe payment option they're offering that will give you a peace of mind. On top of that, club members can buy additional boxes and send them to other addresses as gifts. Some companies use these boxes as corporate gifts or thank you packages for hard working employees. If only I work in those companies... I will defo work hard HAHAHA! You can also get all of your holiday shopping done quickly this way! You can create a gift subscription that sends a monthly care package to a friend or relative. You also have the option to create a one-time payment for boxes sent out over 3, 6 and 12 months. This is perfect for customers who have PayPal systems that do not allow online subscriptions. Check it out here! If at any point of time, you stop loving what you receive, you can cancel your subscription without any fees or penalties. They have recently changed the look of their box! It's no longer the plain white box you see in this review. Stay updated with their news by liking their Facebook page or follow them on Instagram! Thank you to the Freedom team for the opportunity to try and review your box! 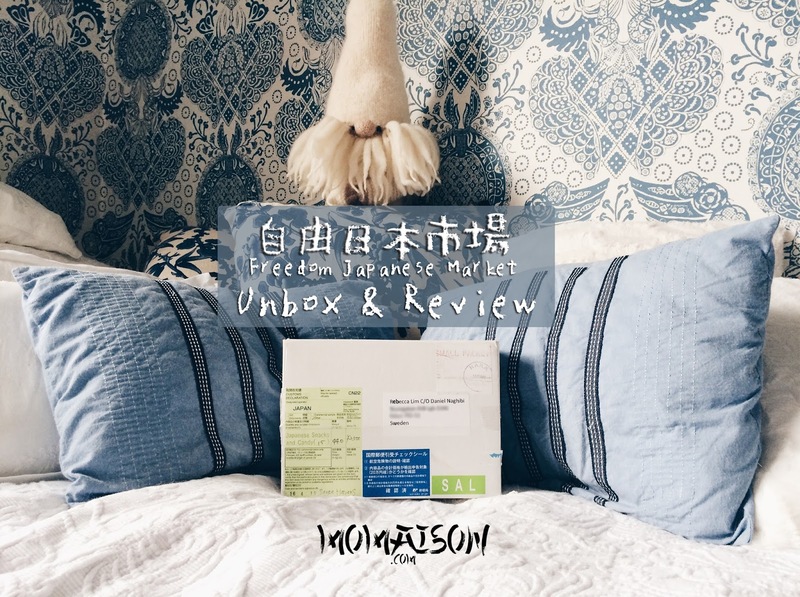 Disclosure: I was provided with April's Original Subscription box from Freedom Japanese Market for the purposes of this review. 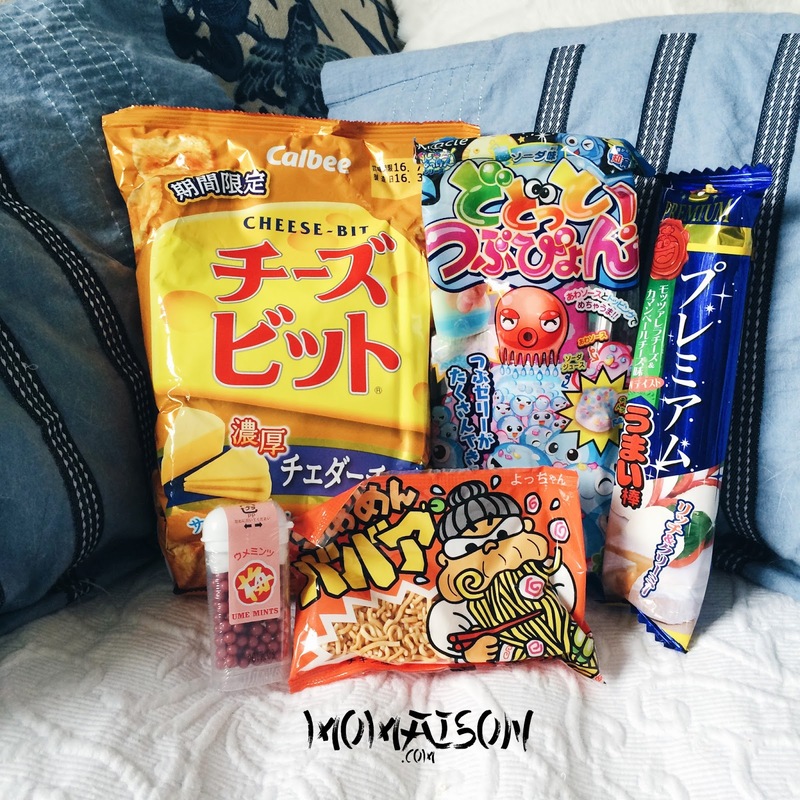 I love food subscription boxes especially ones that focus on a different country! This is so adorable I love the packaging and it's so cute that the whole family is involved in the business. They make the boxes feel more special! I would enjoy this box as there are a lot of sweets. 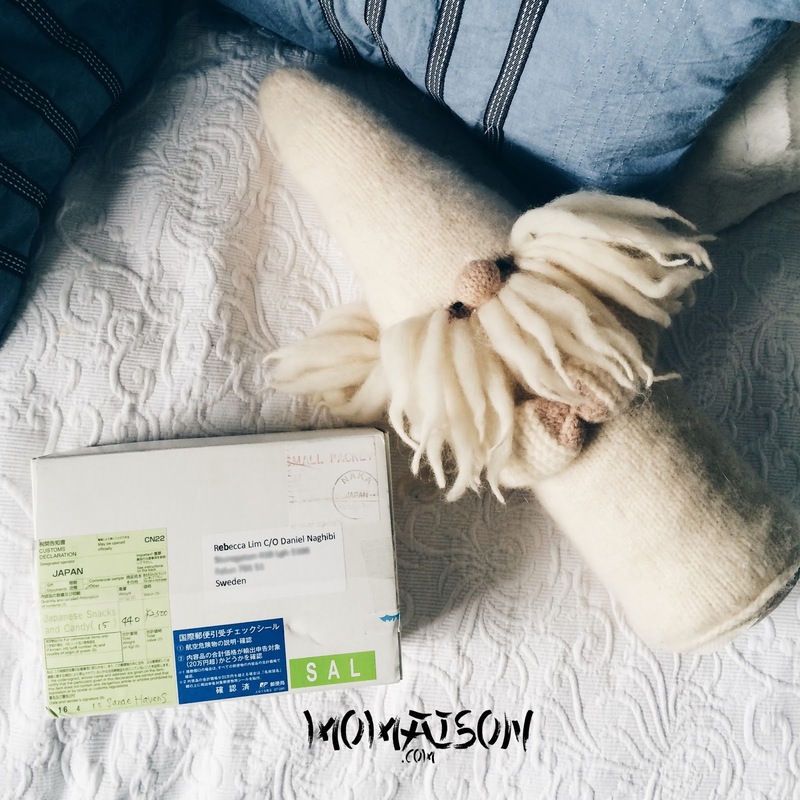 You got a good package with this subscription box. It's great of you for surprise package of goodies coming from Japan. As for me, free taste is always good and sweets too. 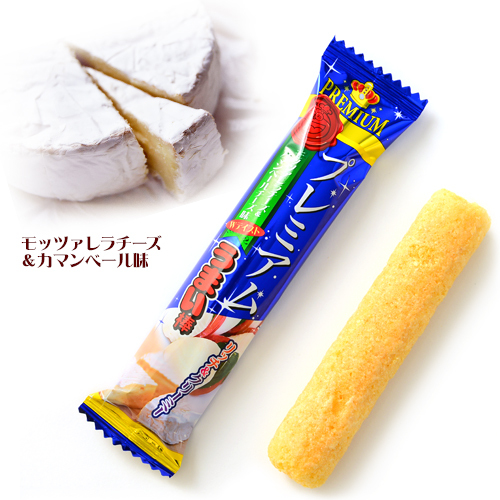 Likewise, Japanese brand is always the best in sweets! Oh I love Japanese snacks! 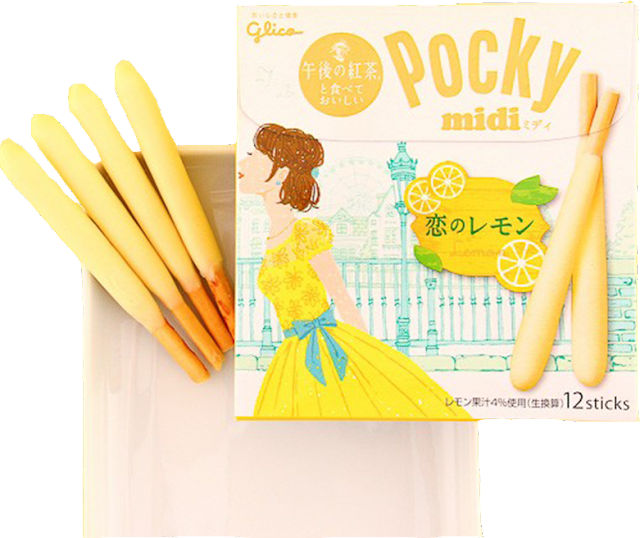 Glico Lemon Cheesecake Pocky Midi has got to be my favourite. And you mean they deliver to Singapore? I've been reading several posts of Unbox already. I like the contents of the box! They look so irresistible. I might end up finishing all those food! Awwww.... Yumm yummm yummmm candies. I want them!!! May be except that frogs eye. That's a bit freaky!!! Unboxing treats is really fun especially if it's like a surprise box. These snacks all look tasty and great for kids. unpacking such food boxes must be very exciting.I would love to do it if I got a chance. 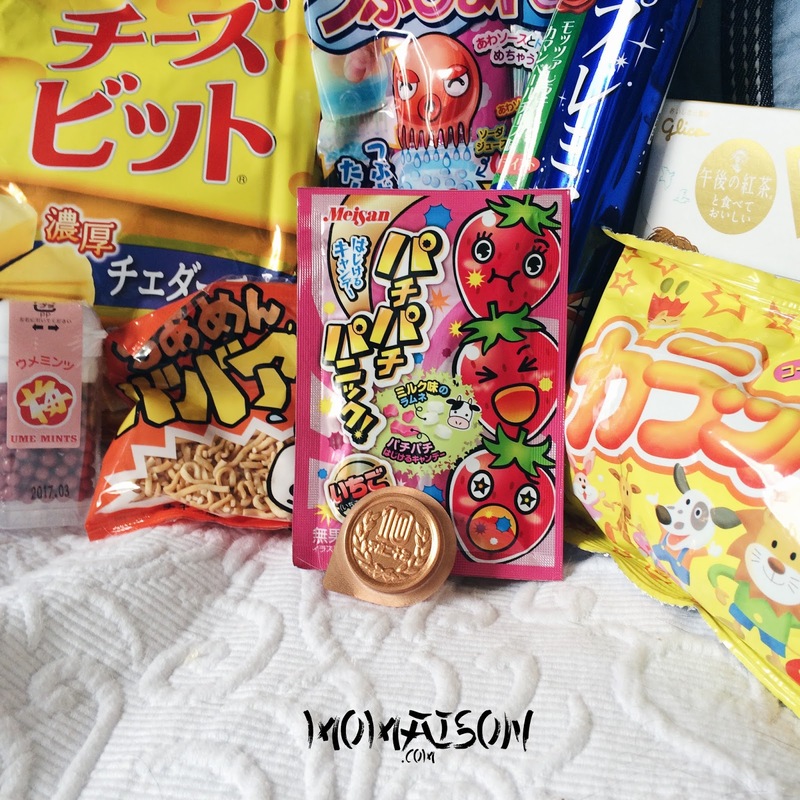 I have started loving the Japanese snacks and your box looks so yummy.